One of the things I love about my career is having the freedom to impact the lives of others. Freedom in the sense that I’m not tied to a desk from 9-5, or working every weekend. 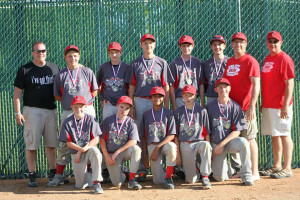 The following is the story of a group of kids I helped coach that came together as a team over a period of two seasons. Memories like these can never be replaced. Every game day, we get up before the sun, excited and nervous at the same time. These young men have come so far that we occasionally pinch ourselves to be sure it’s really happening. The early mornings allow time to reflect on the team and how to help them improve, but more importantly, how this simple game of baseball has the ability to transform lives. When we all got together for the first time, we were strangers. Nobody knew much about the others’ attitudes, talents, or desire to play the game. Those are hard things to determine on the first impression. But as the season progressed, the chemistry of the team became evident. Every opening day, it’s funny how a collective breath is held when each player comes up to bat or a ball gets hit toward one of our defenders: We are all hoping, including the batter and the fielder, that he achieves a positive outcome. Hoping because we don’t really know what to expect of them and they don’t even know what to expect of themselves. When the outcome is positive, it builds confidence. If the outcome is negative, it doesn’t mean failure—it simply provides a focus for our efforts. As parents and coaches, our role is to help them manage both as we all move to the next level of development: Thought. In the beginning we all hoped for a good outcome. After we had some positive experiences, we evolved from “I hope he can do it” to “I think he can do it”. Results were based more on the players’ belief in themselves than reliance on outside factors. Each week, the players started standing taller, communicating with each other more effectively, and anticipating strategies better than the week before. They built a solid record over two seasons, achieving all four of their goals in the end. The opponents we defeated were formidable, as were the ones who defeated us. The reason we were so proud of them: Even in the cases where we were on the wrong side of a lopsided score, they never gave up on each other. We all shared that sense of pride in this team. And as the curtain fell on the season, these young men strode confidently into the last phase: Belief. Belief is knowledge. Belief is trust. Belief is completely understanding your role and having unwavering faith that you and your team can do anything they focus on doing. It’s knowing that if you get on base, your teammate will get you home. It’s knowing that your teammate is going to field the ball cleanly for the out. It’s knowing that your teammate has your back and will pick you up if you make a mistake. This optimal level of trust comes from total surrender—surrender of your SELF for the team. That, my friends, builds character. It also wins championships, but in the bigger picture called life, a solid base of character trumps hardware every time. It was after a miserable performance in pool play round of one tournament when we had to search for this belief. In the car ride home, the concept of “I’ve Got This” was born. It means quite simply: “I’m not afraid.” The very next day, the team did a complete reversal. 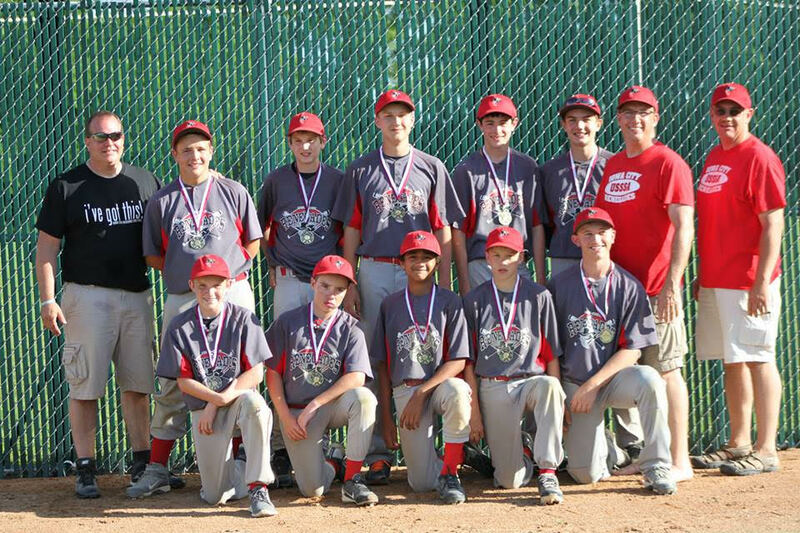 Then, just one week later, those kids achieved something remarkable: Their only first-place tournament finish. Having it take place on Father’s Day made it even sweeter…There wasn’t a dry eye on ANY of our parents. They carried that momentum into the Gold Bracket at State: A place most had never been before. They went on to finish 3-2 and placed #12 out of 60 teams. So what if the final game didn’t end like we hoped it would… none of us had any reason to hang our heads. Our job as coaches was always to bring out belief and self-confidence in every player, then nurture it so it grows. Although our team disbanded at the end of the season, “I’ve Got This” lives forever. There is no doubt that phenomenal group of kids adopted it as a lifelong philosophy. When they take ownership of their attitudes and behaviors with same energy and optimism that was on display that magical season, their opportunities in life will be endless. What more could we ask for our children?